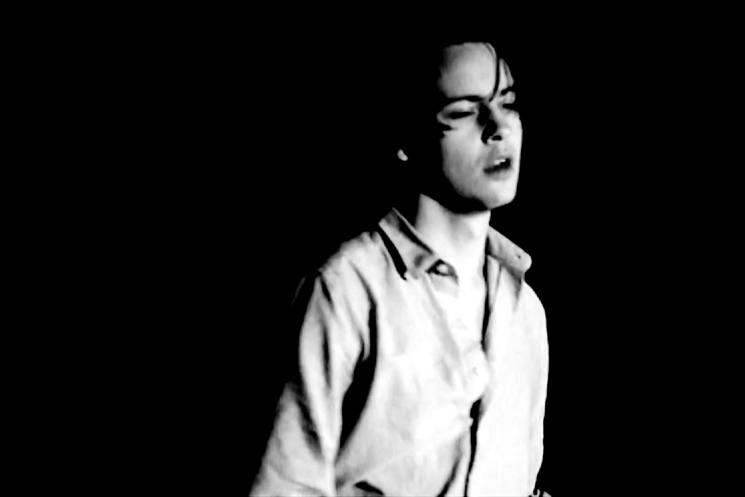 Today (March 31) is release day for Iceage's Elias Bender Rønnenfelt and his side-project Marching Church, and with This World Is Not Enough available now on Sacred Bones/Posh Isolation, they have shared a video for the track "King of Song." The song sports a vibrant arrangement and wildly unhinged vocals, but video contrasts this sonic colour with muted black and white close-up shots of the musicians performing. The frontman slithers around theatrically and even gets confetti dumped on him as he twirls with a sheet, but it's nevertheless a rather sombre affair. The clip was directed by Catherine Pattinama Coleman. Watch it below. Marching Church "King of Song"